What are the rules? What are the rewards? Season 5 will ends in 30.09.2017 and getting rewards in 01.10.2017! Great awards are waiting us. Claim all rewards! Each season lasts 3 months. When each season ends and new season tarts, rewards are sent by mail based on your highest ranking of last season, and you can inherit some parts of the ranking based on your final ranking of last season, the higher ranking you were at, the higher ranking you start from. You must reach Lv. 8 and own 5 or more heroes to play Ranked Mode. You will be matched up by the system with opponents of similar strength. Players can invite friends to play in ranked games together. Ranked Game doesn’t support 4-Player Match-ups. All players in the same team must be in the same or two adjacent division. There are altogether 6 divisions in ranked play: Warrior, Elite Master, Grand Master, Epic, Legend. Players ranked in Epic or above complete in Draft Pick Mode(Grand Master or above for Advanced Server players). Players get one star for every victory in ranked play, and lose a star for every loss. When a player has full stars, the next victory will result in promotion. When a player has no stars, the next defeat will result in demotion. In Warrior division no stars will be deduced for losses. Legend is the highest division in ranked play, and the top 50 players in Legend division will get the title of Glorious Legend. Players who reach Legend and Glorious Legends division can unlock exclusive avatar borders. In S6, two new ranks – Mythic and Glorious Mythic, are added to the list. Meantime, Legend rank is split into 5 divisions: Legend V ~ Legend I. Glorious Legend is removed. i didnt receive my rewards, i have two account , my main didnt receive any but my other account have.. why?? 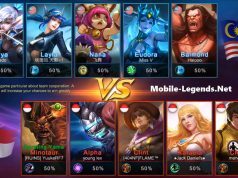 Mobile Legends should have fixed the error by now and if you still haven’t received your rewards please be patient as they are currently trying to help you. Congrats to those who did well in the season. 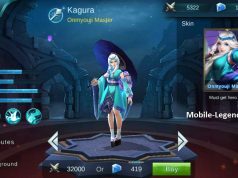 Mobile Legends should have fixed the problem that you can’t get your rewards. Good luck for the next season everyone. Let’s meet on the battlefield. I didn’t receive my rewards for ranked game season 5. So I haven’t received my rewards for Season 5. 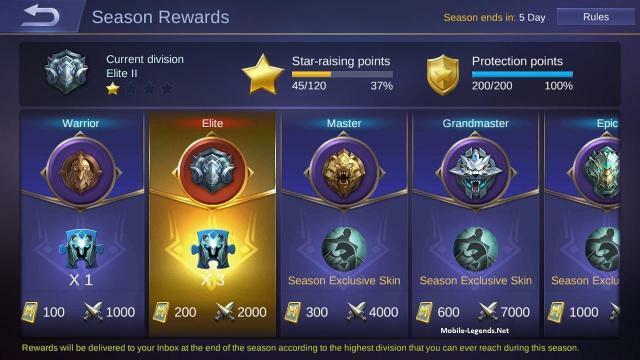 Was master rank when it ended and now with season 6 ended I didn’t receive that reward either and I had achieved grand master this season. Would really appreciate hearing something at the least, send a message via customer support bot and got no where. Can provide my ID and IGN when necessary. My IGN is the topic name.